Videssa Breast is an ideal diagnostic complement to breast imaging – particularly when clinical assessments are challenging. For women with abnormal imaging findings, Videssa Breast can be used in the diagnostic workup to help support recommendations for further management and increase confidence in a patient's clinical course (results are not impacted by breast density). When Should Videssa Breast Be Considered? Videssa Breast is designed to easily fit within existing clinical workflows. The Videssa Breast test result can be used along with a patient's clinical history and imaging results to determine the most appropriate plan for follow up care. Immediately following an abnormal or difficult-to-interpret mammogram, Videssa Breast can be incorporated as a "next step" in patient care – prior to additional diagnostic procedures – to help triage a woman to biopsy, additional imaging or six-month imaging surveillance. Videssa Breast can help identify patients who may warrant immediate follow-up versus those who can proceed with a "watchful waiting" approach. For women with abnormal imaging, it is not always clear whether to proceed with a biopsy, further diagnostic imaging or to "watch and wait" with six-month follow up imaging. When abnormal imaging arises (BI-RADS 3 or 4), the National Comprehensive Cancer Network (NCCN) guidelines recommend that BI-RADS 3 patients are followed every six months for two years, while BI-RADS 4 patients are recommended for biopsy. When the probability of breast cancer is low, avoiding putting women through benign biopsies (or additional imaging), can help reduce patient anxiety and healthcare costs. At the same time, monitoring these women closely is essential in case any anatomical changes occur that may be associated with breast cancer. Videssa Breast can provide additional guidance if there is a need for interventional procedures. For women with dense breasts, there is a greater chance of breast cancer being missed; therefore, patients are often left with anxiety, concern and no clear alternative solution. Currently no clinical guidelines recommend the use of supplemental imaging in women with dense breasts and there is a lack of consistency in recommendations from state to state, so "next steps" are not always clear. 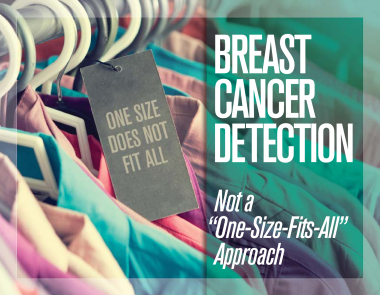 Integrating Videssa Breast into the current standard-of-care offers an alternative approach to breast cancer detection, not affected by breast density, to help navigate through the diagnostic process when imaging is limited and next steps are unclear. 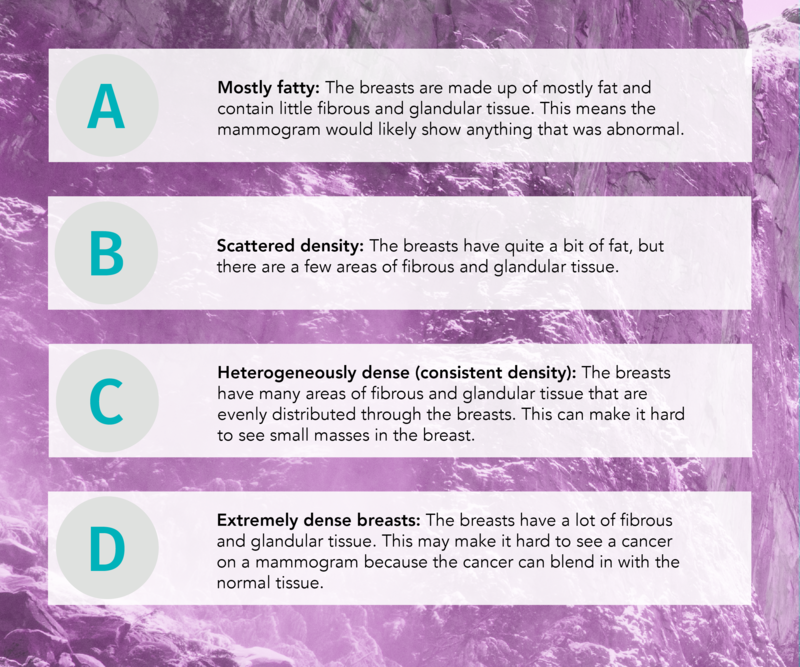 If a woman with abnormal imaging is also scored as with a breast density category "C" (heterogeneously dense) or "D" (extremely dense) on a mammogram, Videssa Breast can be utilized to help determine the need for supplemental imaging and/or biopsy. The timing of ordering Videssa Breast is most helpful immediately following an abnormal or difficult-to-interpret mammographic finding, prior to additional diagnostic procedures. Women who receive a high protein signature test result will likely warrant additional imaging and/or a biopsy, while women who receive a low protein signature test result may not warrant immediate follow-up and may benefit from a "watch and wait" approach.